In 2020 manufactures will invest of around 60 billion euros in IoT solutions (source: Business Insider). Realizing the enormous impact of IoT on energy efficiency and production, companies operating in any industrial sector aim to update their systems in accordance with the principles of Industry 4.0. In fact, resources optimization and energy efficiency are extremely important topics in the 4.0 future. Smart energy is one of the three pillars of the Smart Factory (in addition to smart production and smart services) and a key point for the implementation of a more sustainable industry. 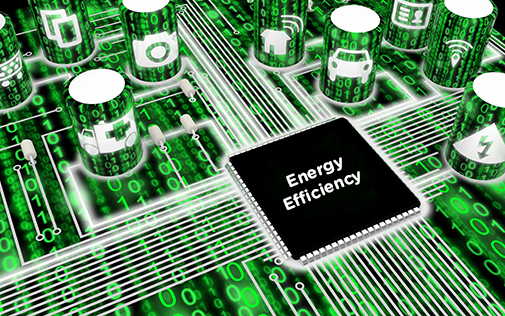 The Internet of Things is fundamental to improve energy efficiency. What is the impact of IoT on energy efficiency? It’s all about data. That’s right, the Internet of Things – the network of devices connected to the Internet and among them – has led (and will continue to lead) to great volumes of data. Increasingly large volumes of information circulate faster and more independently within the systems, making it easier to optimize resources. How? A constant flow of data within the production plant enables the continuous monitoring of energy consumption. Moreover, in the IoT interconnected system, it becomes easier to identify any problem and to intervene before excessive waste occurs. Not to mention the cut to maintenance times. In manufacturing the link between the Internet of Things and energy efficiency is directly proportional, and it is essential to invest in IoT solutions and energy efficiency. ESA Automation’s Energy Management line contains several solutions that embrace the impact of IoT on energy efficiency. Thanks to the Distributed Meter EW800 (DEM), our Data Manager and the Energyaware software, you can create an integrated system for monitoring and remotely control energy consumption. Moreover, thanks to ESA Automation Cloud service, data flow within the system becomes even more automated and effective, benefiting energy efficiency. Follow us on Facebook to stay updated on the most innovative solutions for Industry 4.0.